Royal Caribbean International is launching a new brand campaign inviting adventure seekers to “Come Seek” their own experience “filled with adventure, exploration and discovery” aboard the line’s ships 23 ships sailing to more than 250 destinations around the world. According to Royal Caribbean, “Come Seek” reflects the brand’s adventurous spirit by placing the traveler’s personal experience and point of view at the heart of the campaign. It also showcases the essence of the experience that the brand has been delivering for more than 40 years. It said it is known for its innovation – including the revolutionary Oasis- and Quantum-class ships – and delivering many industry-firsts from ziplines and rock climbing walls, the FlowRider surf simulator and the RipCord by iFly skydiving experience, to leading technological breakthroughs like VOOM – the fastest internet at sea. 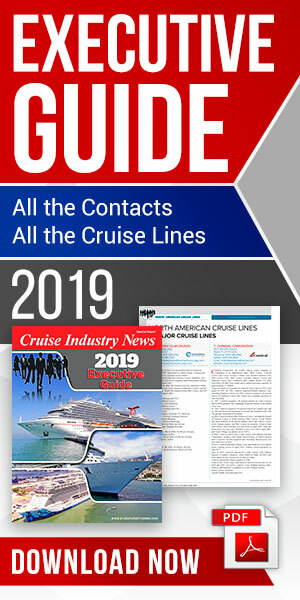 And said it continues to transform the cruise experience by offering an active adventure with an immersive experience and connectivity that all travelers desire. In a prepared statement, Royal Caribbean went on to say that even as the cruise industry has grown on the strength of new ships and modern program offerings, the reality is that a majority of the population – particularly the millennial generation – has never taken a cruise. The new campaign is not only an invitation from Royal Caribbean to “Come Seek,” but aims squarely at conventions that may inhibit continued growth. An integrated marketing campaign includes broadcast, digital and outdoor advertising, in addition to public relations, social media and direct marketing. The multi-million dollar campaign will debut on Monday, October 19th with a series of broadcast and online ads, including a first-of-its-kind live streaming outdoor campaign delivered via the social platform Periscope.